Whether you want to modify a policy or simply cancel it and switch insurance company to one that offers better value for money, make sure you know what you can legally do. Mistakes in Your Insurance Policy? If your insurance company finds out that your details aren’t correct, they could unilaterally cancel your contract and keep the premium already paid. This can occur with life insurance if you fail to inform of existing health issues. But if you realise that you made a mistake, let your insurance company know as soon as possible. The company will then have one month to decide whether to modify the existing policy or cancel it. If the company does decide to cancel, you’re entitled to a prorated refund of the premium. Don’t forget to request that your company certifies that you’ve informed them about any mistakes in the policy. Visit your local office with two copies in writing and ask them to stamp a copy. If you’ve sent an email ask for official notification that they’ve received the message. Changes that Affect the Premium? Some changes may result in a reduction in your premium, such as installing a burglar alarm for home insurance. Others will increase the cost, examples include letting a driver under 25 use your car. However the change in cost of the annual premium offered by your company may not be what you expected. If you’re looking for a reduction, it could be that none is offered. Make sure that you’ve checked similar contracts, either through a broker or online, before contacting your company to see if their new price offer is acceptable. In cases where the insured object no longer exists, for example if you sell your house or your car is stolen, then you should be able to get the proportional part of the premium returned. If you’ve contracted insurance either over the phone or by internet, there’s a 14-days cooling off period. Ensure you make reference to the dates when cancelling to demonstrate that you are within the 14-days. As well as increases contemplated in the insurance contract (cost of living rises) additional increases must be communicated to the policy holder at least two months before they are implemented. If this is not done by the company, the policy holder has the right to request that the annual premium cost continues at the same level as before or to cancel it. Decided Not to Renew Your Policy? 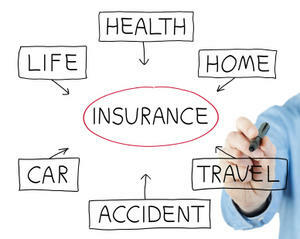 You only need to inform your insurance company one-month in advance regarding your decision not to renew a policy. Companies have to inform of any cancellation two-months in advance. What About The Car Insurance Grace Period? You may have heard that in Spain car insurance policies have an obligatory grace period which lasts for one month after your policy has expired. But watch out, this doesn’t mean you can use it to get a free month’s insurance every year. The period is aimed at those clients who may have problems paying their premium. Once their finances are sorted, the premium would continue from the date that the previous policy expired (not from the date actually paid). During the grace period you will normally only be covered for civil liability. If you have an accident the repairs will not be covered. Additionally if you pay late most companies will want to check your car again to ensure that no damage has been sustained during the days/weeks after the policy expired. Clients that habitually take advantage of the grace period may find that their insurance company ends up cancelling their policy. If you have a mortgage in Spain, check whether your rate is tied to any insurance products (home/life). Changing company to save money could mena the bank increases your monthly mortgage payments. Do the maths and see if any savings would be cancelled by a higher mortgage repayment. Online insurance comparison sites don’t include all companies, so use more than one. The main comparison sites are Rastreator, Acierto and Seguros.es and it always pays to compare their best deal with the insurance company’s website. If you cancel/amend a policy, make a note to check your bank on the due date of payment. Some companies may “accidentally” charge you the previous higher amount or put through the payment even if you’ve cancelled. If this happens to you, notify the company in writing immediately.